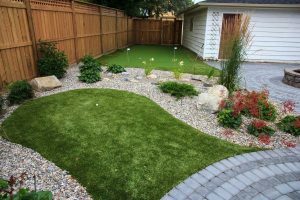 Small landscaping project in south west Calgary. - Curb Design Inc.
Small landscaping project in south west Calgary. Cedar fences and putting green surrounded with concrete patio and a nice fire-pit.